Identive Group announced tomPAY, an NFC-enabled sticker tag that can be affixed to existing mobile phones to enable contactless payments. Based on Identive’s tom (tag on metal) smart inlay technology, tomPAY is manufactured using the same processes as an ISO PVC card. 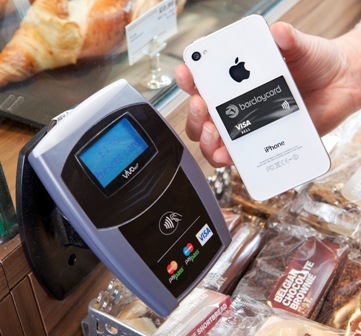 When placed on a phone, tomPAY enables contactless mobile payments in compliance with MasterCard PayPass specifications, as well as loyalty, transport ticketing and other m-commerce services. According to Identive, tomPAY can also be adapted to support EMV-compliant chips, enabling card makers and issuers to provide their customers with an EMV-enabled tap-and-go experience. The new tag is now on display at the NFC Solutions Summit in Burlingame, Calif.